AUDUSD is under the impact of the National Australia Bank’s Business Conditions and the oil prices. The support lies at 0.76720 with resistance at 0.77200 which both lines are above the weekly pivot point at 0.75880. The RSI has reached the over bought area already, the MACD indicator in in positive territory and the Stochastic has reached its maximum amount. There is a great chance of falling down at any moment. 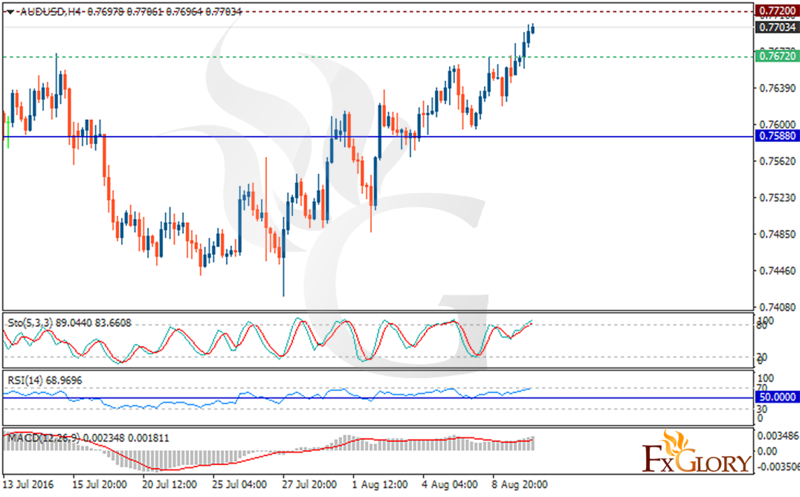 Short positions are recommended with the target at 0.7600 but later it would continue its upward trend again.